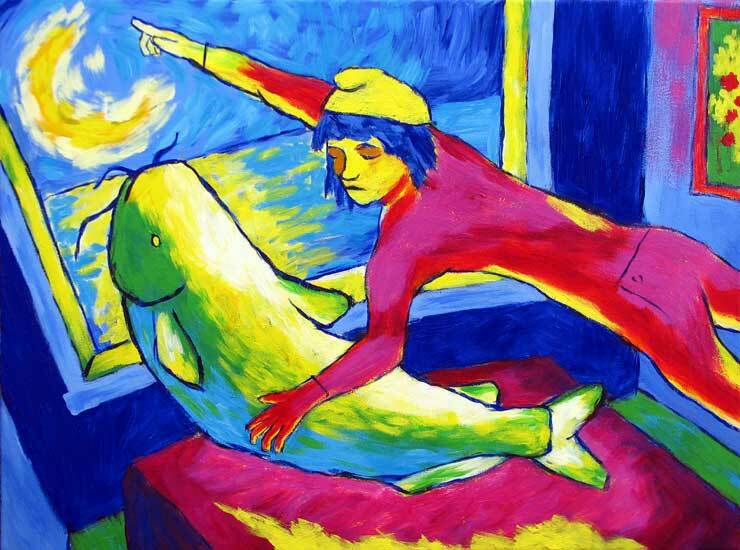 “Catfish Go Home” contemporary figurative painting. acrylic on canvas. 24 in x 18 in.